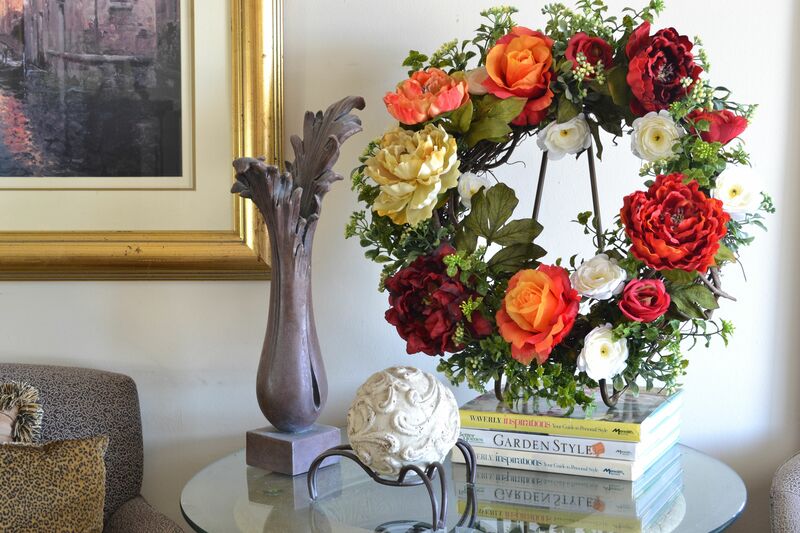 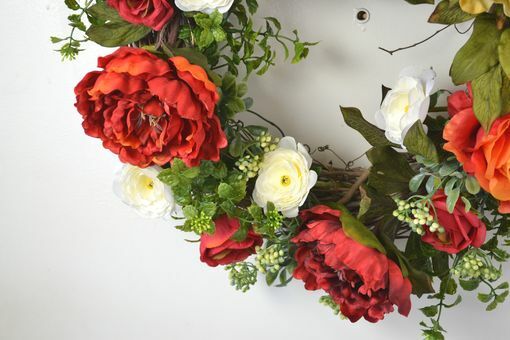 Created using roses, peonies, ranunculus, young berries in an 18in Grapevine. 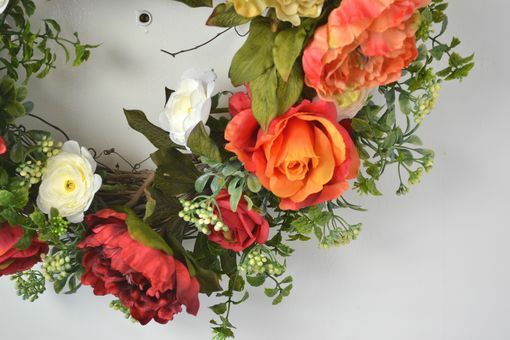 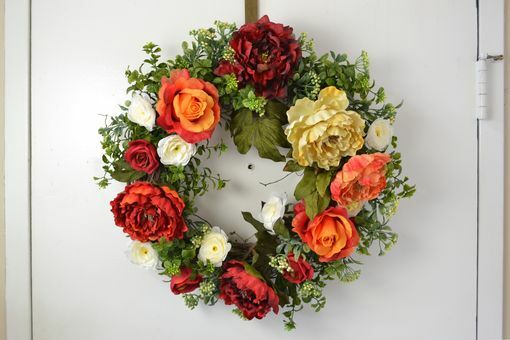 This front door wreath is rich in vibrant shades of orange, deep red and cream. 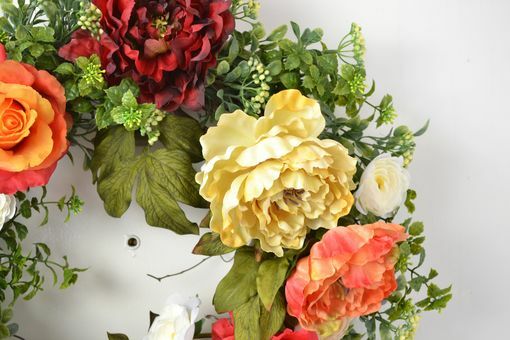 Perfect door decor silk floral arrangement for the Summer season.